One of the things I enjoy most about collecting cards is putting together checklists of things that interest me. Sometimes these become projects like the action cards or photographer cards that I try and collect. Other times just the exercise of figuring out the checklist and thinking about the theme is enough. 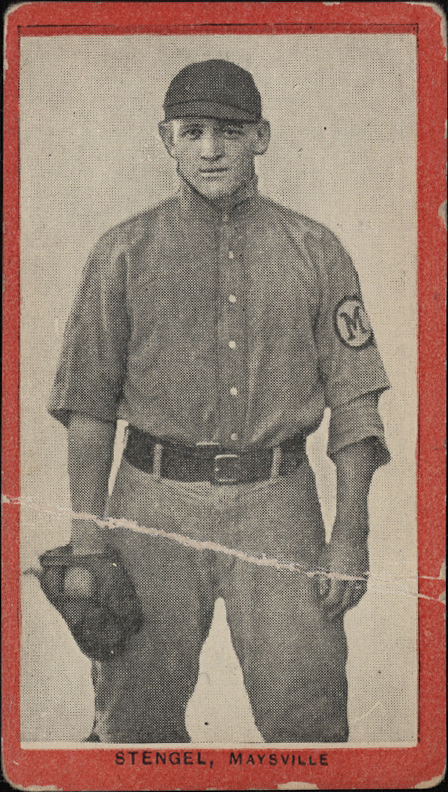 One such checklist I’ve been working on is about baseball lifers and trying to find cards that reflect the longest periods of time in organized baseball. Many of the cards on this list are unobtainable for various reasons but it’s been a fun project to research. I’ve limited to 45 or more years in the game but moving to 40+ would only add a few more guys like Clay Bryant. Also, before anyone questions my math, I’m counting inclusively. 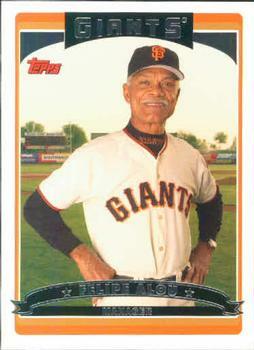 It’s fitting that Jimmie Reese’s first and last cards are both regional issues from the West Coast. 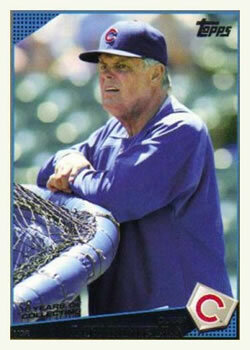 I remember fascinated by him as the ancient Angels coach in the late 1980s and he was one of the few (if not the only) coaches who occasionally showed up in regular sets as well (he has cards in both 1991 Leaf Studio and 1991 Bowman). 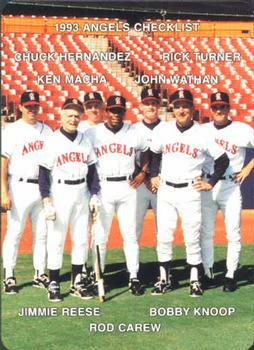 Stengel was the obvious standout in this department. He benefits from the sheer number of card releases in the pre-World War 1 era. When I was researching this checklist there were a decent number of guys who debuted in pro ball between the wars but who didn’t get cards until after World War 2. As with Reese, I really enjoy the difference between his first card and his last card. 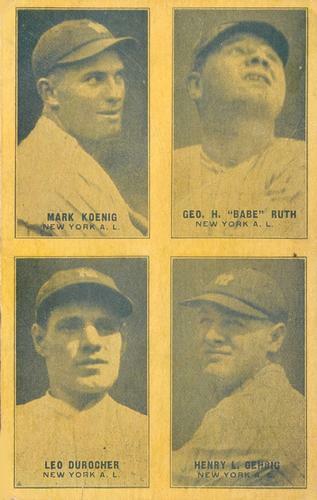 All the pre-war cards just feel like they’re from a completely different world. 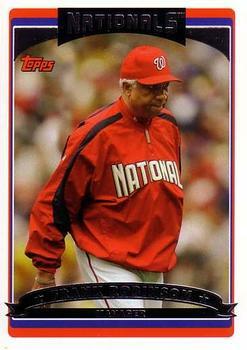 Compared to Reese and Stengel, Robinson’s cards are much more familiar feeling. 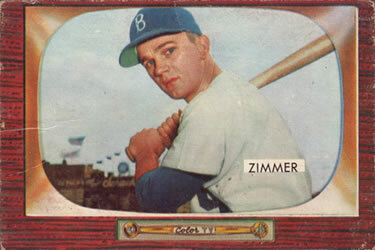 If anything, his 1957 card feels much more comfortable to me than that awkward 2006 design. The first pair on this checklist that I can conceivably acquire. 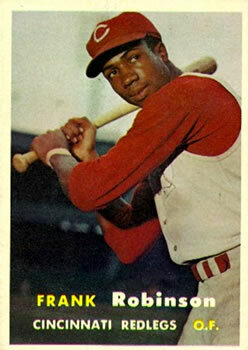 While a Frank Robinson rookie is also something that I could get, it’ll always be out of my price range. 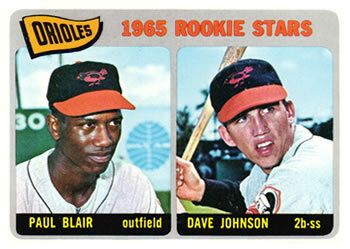 But these two, as a Giants collector, are pretty much already on my wantlist as it is. As with the Robinsons, these both feel familiar although I appreciate how both of them are so of their time while also sharing the common Topps DNA. Baker is actually the inspiration for this post. 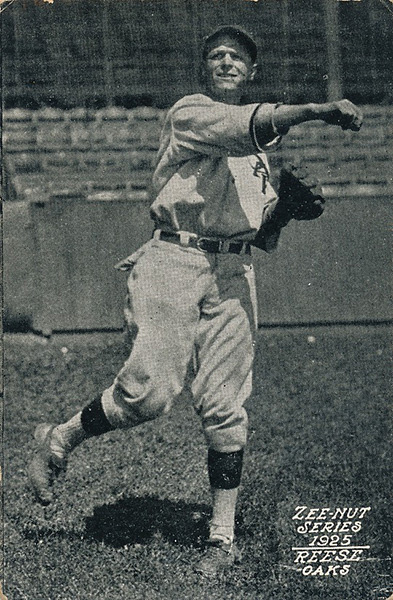 I found a 1917 Zeenut card of him at my grandmother’s house and subsequently acquired his 1954 Topps card. 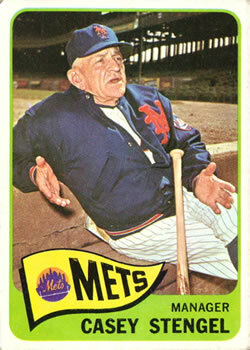 When someone else posted about a different 1954 Topps coach card we started talking about baseball lifers, Casey Stengel’s name came up, and then I started thinking about who else should be on the list. 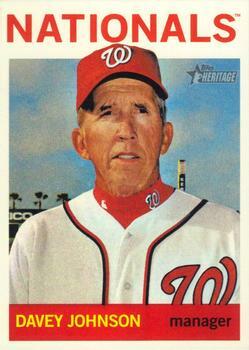 Dusty was actually the first name I thought of when the topic of baseball lifers came up. 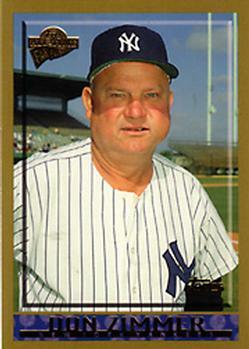 Sadly Topps doesn’t make manager cards in Flagship anymore. Nor do they appear to be in Heritage either. 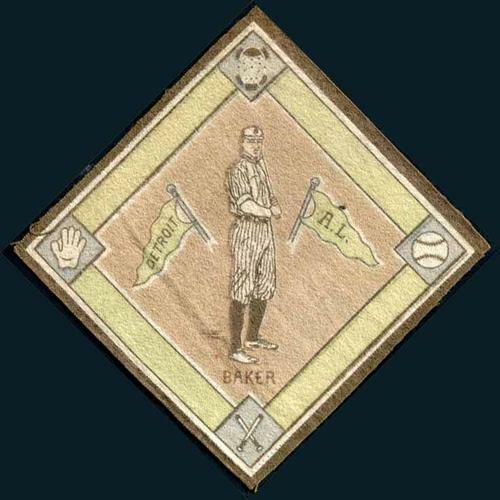 So Dusty’s last card as a manager is part of an Allen & Ginter mini set which is either so rare or so boring that the only images I can find online are the Topps promotional ones. 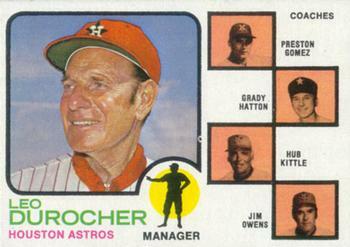 I miss manager cards and wish Topps would bring them back. 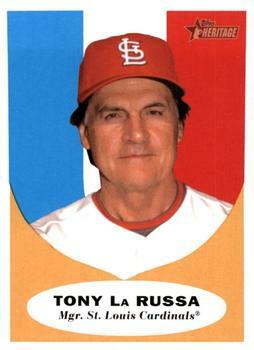 Dusty also hasn’t retired yet so there’s a possibility he could move up this list if he gets another gig and Topps produces manager cards again. 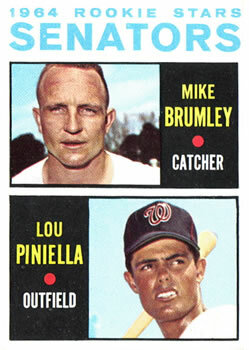 Because of Ball Four I always associate Piniella as being a rookie in 1969. 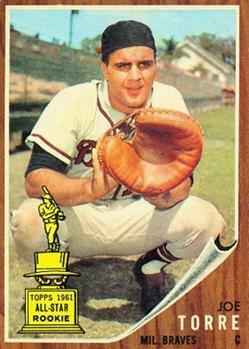 But as has been pointed out before, he was one of those multi-year rookie stars and his first rookie card from 1964 gets him into this checklist. 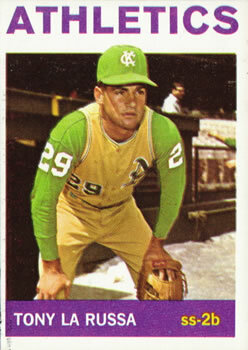 I’m glad I found one lifer whose last card is in the 1970s. 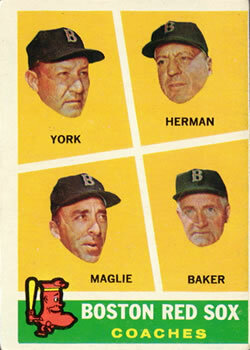 As I mentioned earlier, the hardest part here is finding rookie cards in the 1920s and 30s. 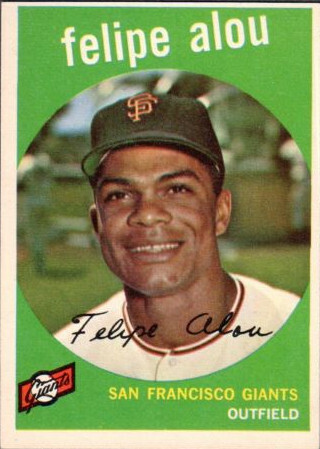 Which is too bad since the way that Topps includes coaches in 1973 and 1974 means that there was a possibility for more lifers to have last cards. Anyway I’m sure I’ve missed some guys. 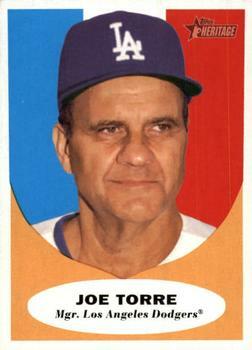 I don’t have anyone whose last card was in the 1980s. Nor do I have anyone whose career started in the 30s or 40s. So I look forward to being corrected in the comments here.